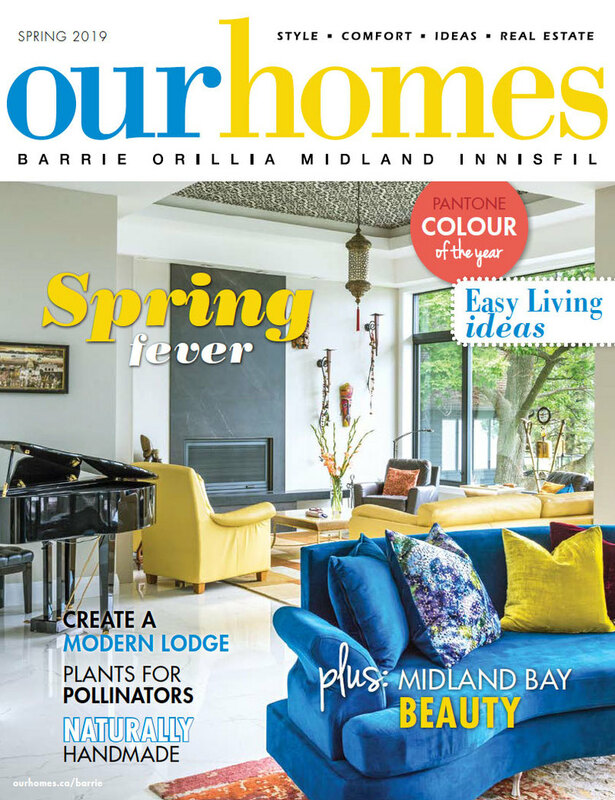 A version of this article originally appeared in the Spring 2019 issue of OUR HOMES Barrie Orillia Midland Innisfil, p.32. Find local businesses in our Barrie directory. 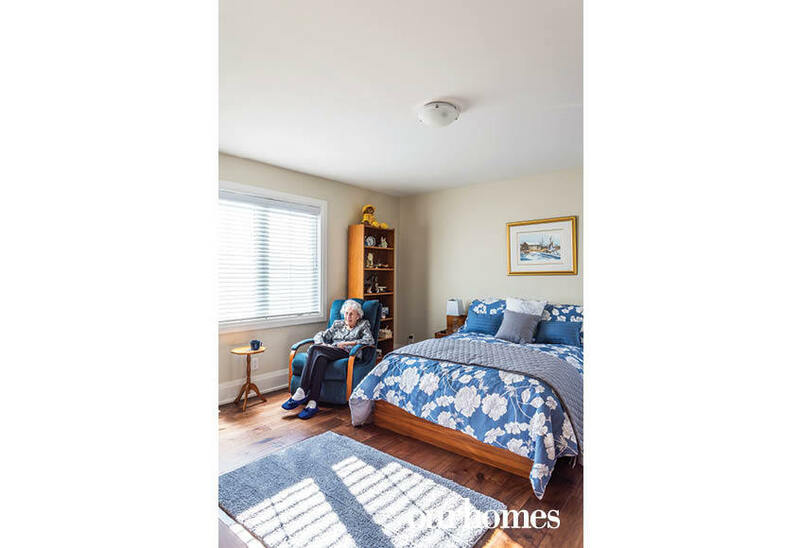 When Tom and Maureen Sampson look out the abundant windows of their two-storey modern country home in Horseshoe Valley’s new community of Braestone, they see crops in the fields and, on a weekend, horses in the pasture being well tended. Owners like the Sampsons apprciate the locale’s amenities, as well as the ability to custom design their home with Braestone's help. “We were able to make some changes to the original plans to make it our own,” Tom says. 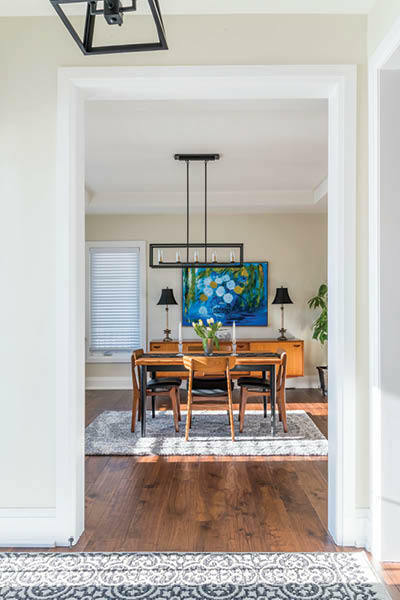 Their country retreat replaced a traditional home in the urban heart of Newmarket where they raised their four children. 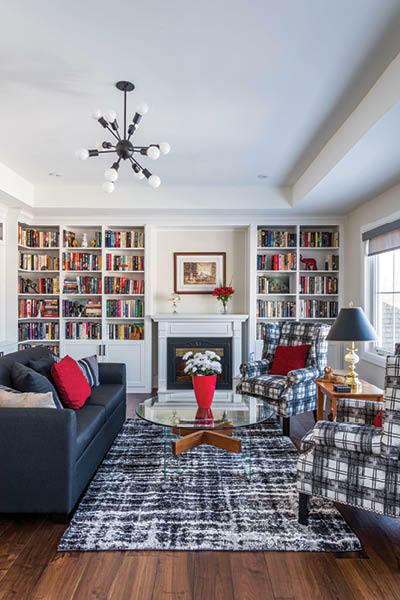 But with more than 4,500 square feet of finished living space on a half-acre lot, their downsizing was more aesthetic than literal. The open-concept layout is awash with natural light. 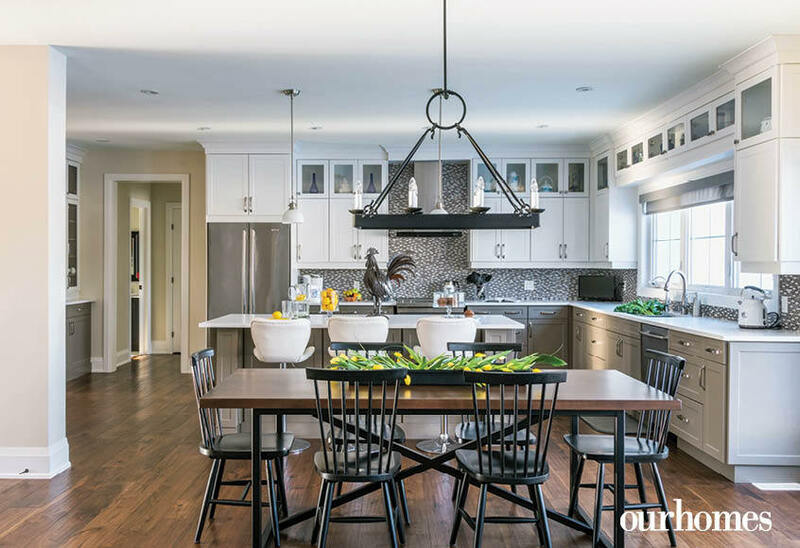 To retain a visual link to the farmstead location, the modern design is tempered with rustic additions that give their one-year-old house a pioneer patina. Wrought-iron hardware outside is echoed by hand-forged interior accents from Northern Iron, including a chandelier in the great room. 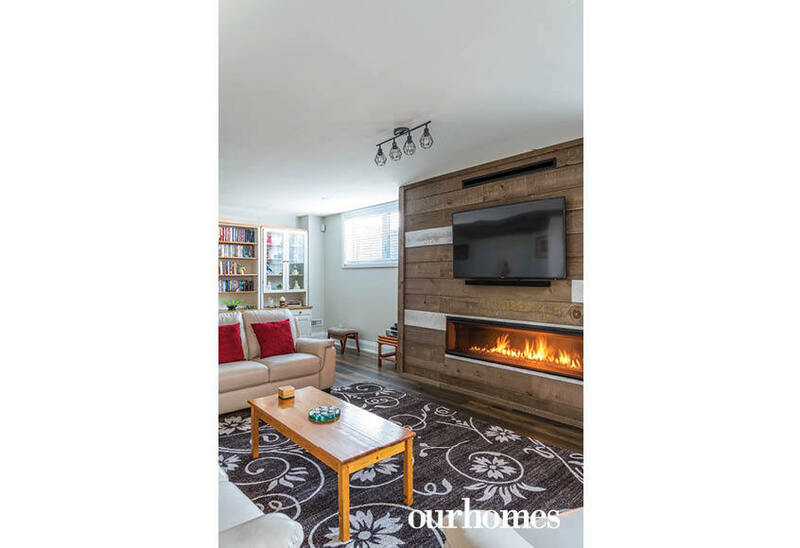 A full-height stone fireplace and hand-hewn beam mantel with wide-plank engineered hardwood flooring grounds the room. 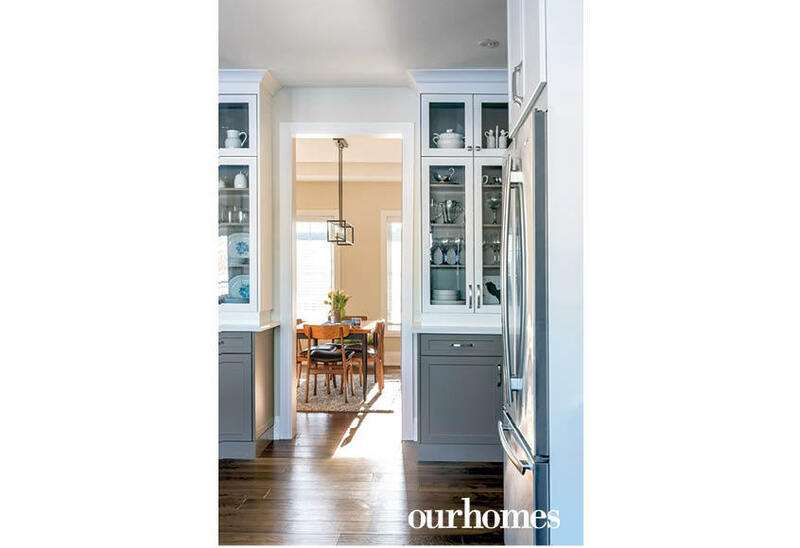 In the kitchen, the couple opted for a dual-tone palette and glass-fronted built-ins. The lower level features barn-board walls in the two double-queen bedrooms. In the rec room the focal point is a beautiful linear gas fireplace from All Fired Up. 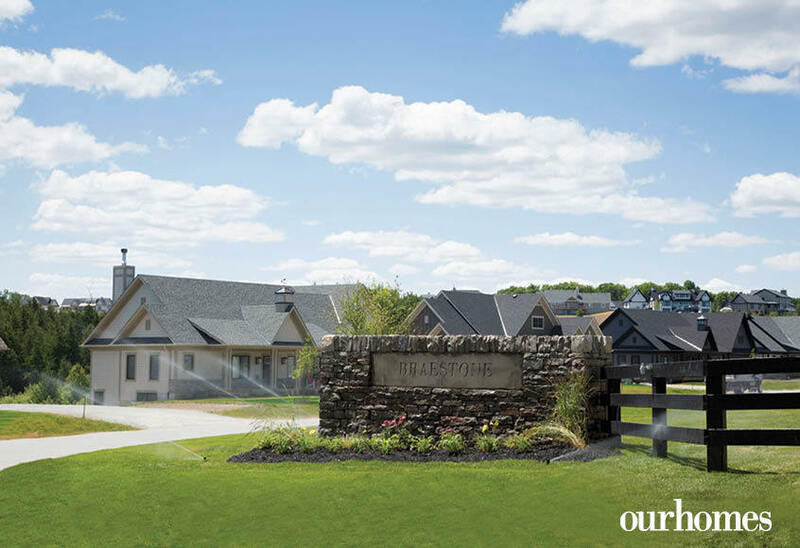 The community landscape is exquisite in Braestone’s award-winning community in Oro-Medonte near Horseshoe Valley. 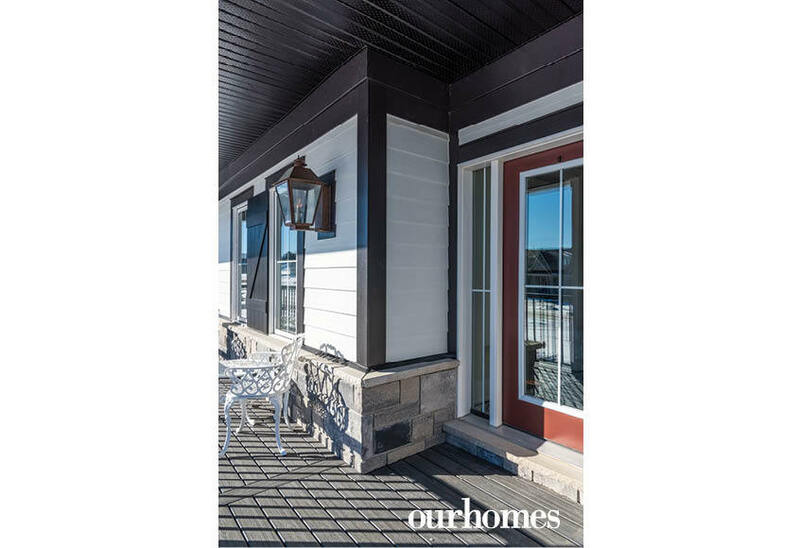 The black-and-white exterior exudes up-country living. Gas lights and covered verandas are standard. What’s old is new again. This lovely teak dining set is decades old and looks fantastic in the dining room off the front entrance. Built-in cabinets in the kitchen replace a pantry. The owner wanted a place to store and display her china and other treasures. Fred the rooster was created by Northern Iron’s Lino Barbosa out of scraps of metal. 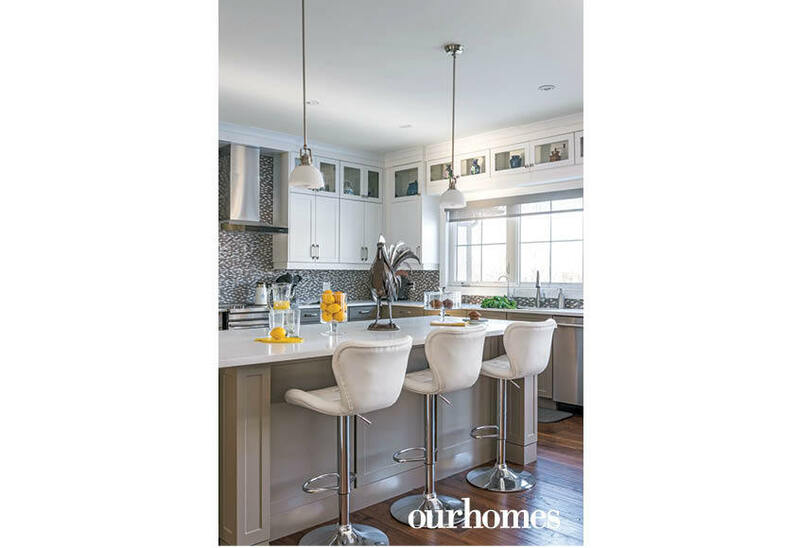 White bar stools contrast against the grey island and backsplash. The kitchen is an incredible space to cook and dine in. 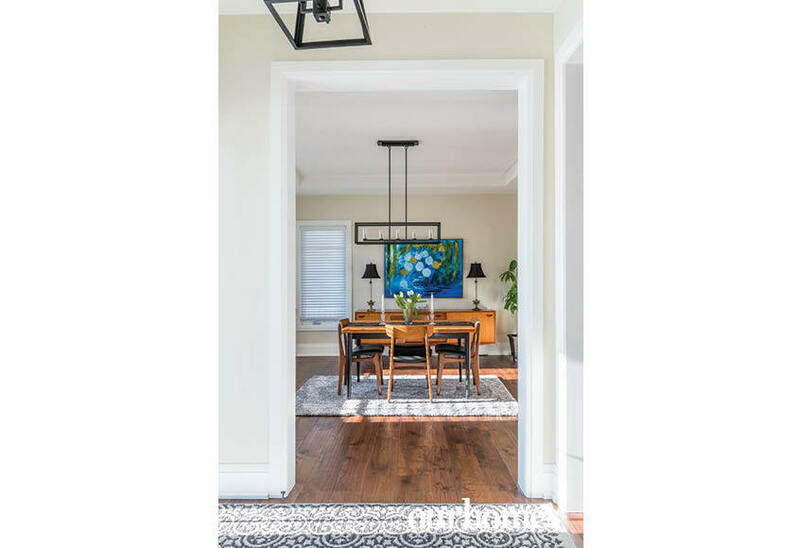 The chandelier, table and table-top tray were all made at Northern Iron. 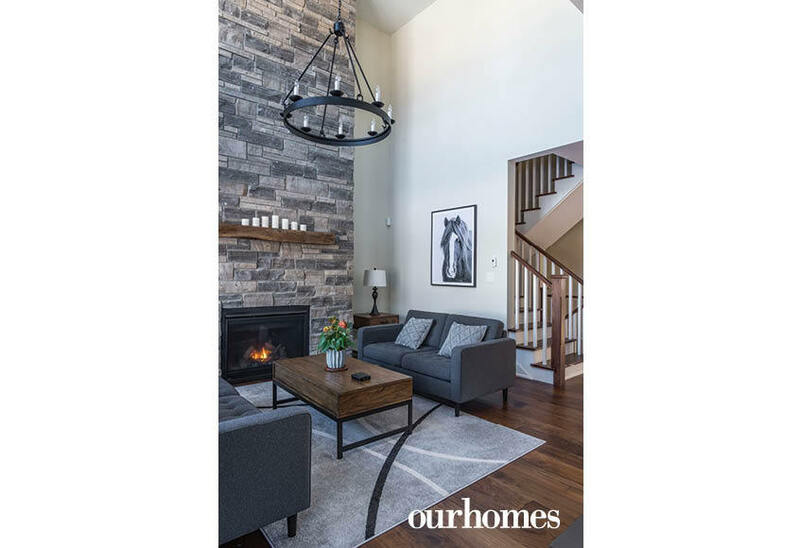 The large living room in this Braestone home features a floor-to-ceiling stone fireplace. The Gothic-style, hand-forged iron chandelier hangs from the two-storey ceiling. The stone fireplace is the focal point in the room. 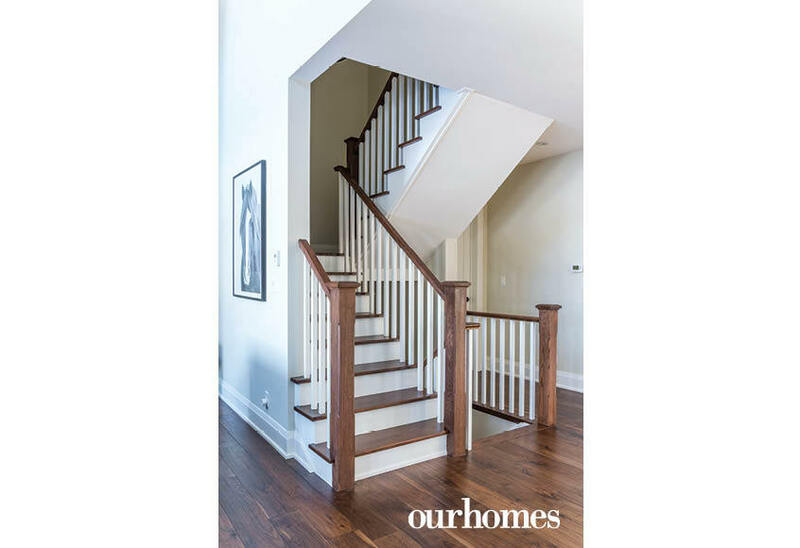 The staircase leads to bedrooms upstairs and down to the finished basement. 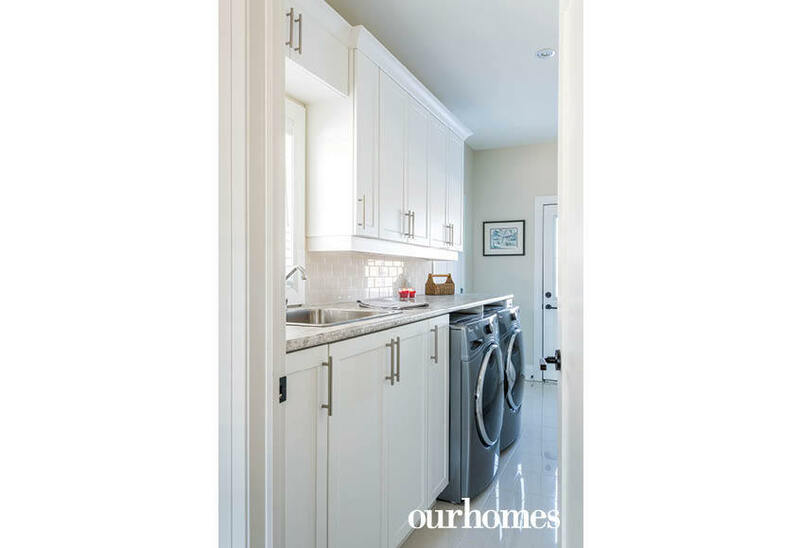 Even the laundry room, tucked behind the kitchen, was designed and constructed to shine. 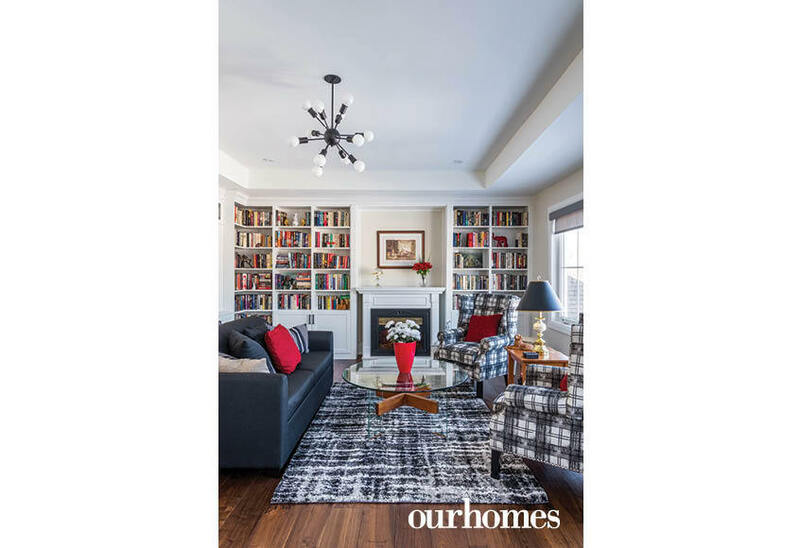 The owners adjusted the home's layout, adding a loft library above the kitchen. The views of the pond and landscape from the library are inspirational. The main floor master suite is situated behind the living room. The upholstered headboard coordinates with the grey platform bed. This large walk-in closet is uber organized for the couple, including an ottoman to sit on while dressing. The en suite is large with a double vanity, a vessel tub and a separate shower. The owner's mother lives with the couple and has her own bedroom and en suite upstairs. The linear fireplace from All Fired Up is built into a wall covered in barn board in the lower living area. 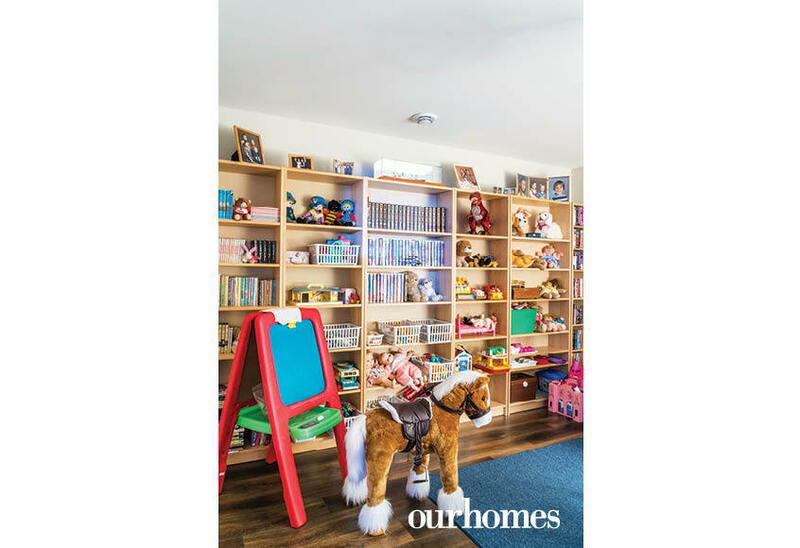 The grandchildren have their own fully-stocked playroom in the lower level and bedrooms ready for sleepovers. 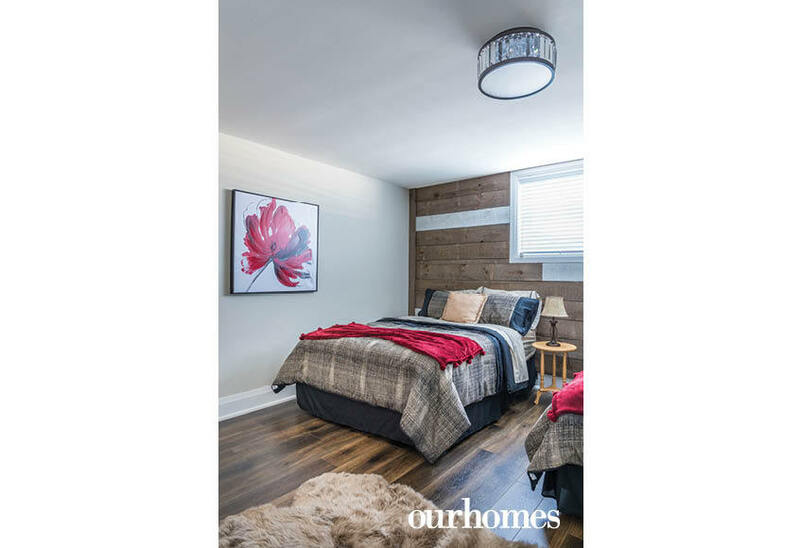 One of two bedrooms in the lower level has another custom barn board wall and is ready for sleepovers with the grandkids.